Beyond providing data for all 32 NFL teams, PFF also supports network broadcasters with game-preview packets that are used to enhance the in-game experience for fans and viewers. 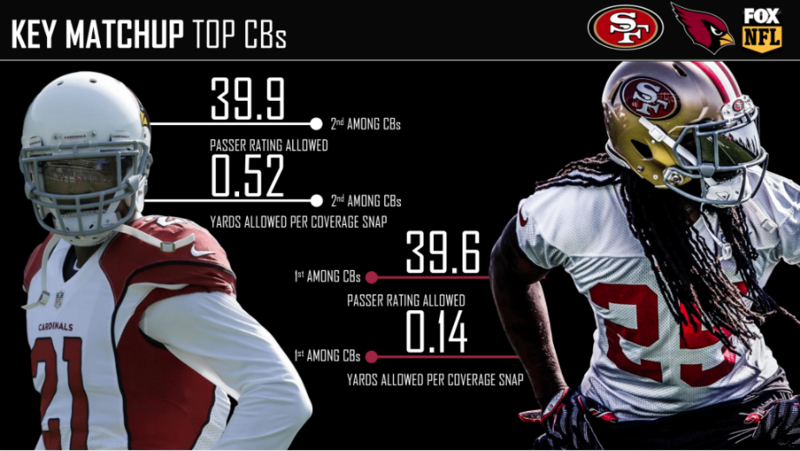 This 49ers-Cardinals preview features the same information our broadcast partners use for team research and in-game production. Tight end George Kittle is having a tremendous second season. He’ll look to continue his impressive run in Week 8. The 49ers utilized quarterback movement when Jimmy Garroppolo was under center, but they’ve opted to keep C.J. Beathard in the pocket since he took over as the starter. DeForest Buckner has picked up where he left off a season ago and currently ranks fourth among interior defensive linemen in total pressures. Reuben Foster has struggled so far in 2018, especially as a tackler. He’ll look to turn things around against a struggling Cardinals offense. 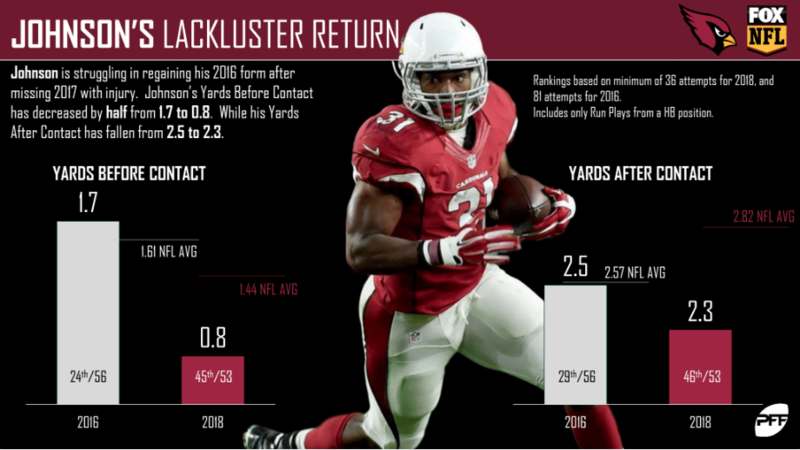 The Cardinals’ run-blocking has done David Johnson no favors this season. In 2016, Johnson’s breakout year, he averaged almost 2.0 yards before contact per attempt. This year, he’s averaging less than a yard before contact per attempt. 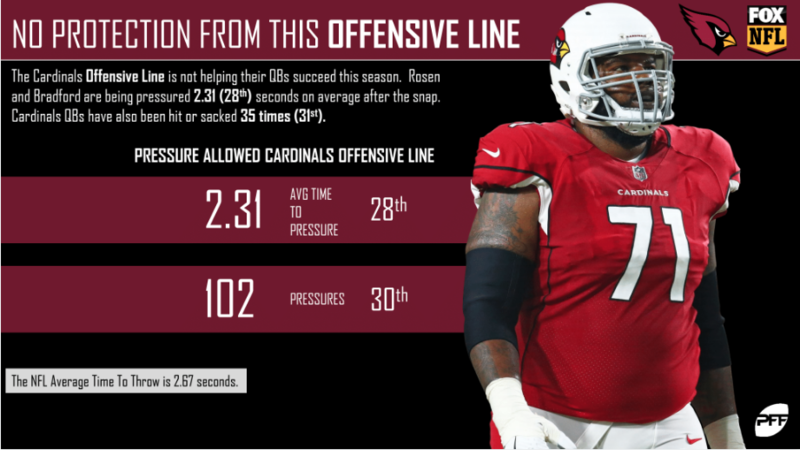 Cardinals signal-caller Josh Rosen is being given absolutely no help from his offensive line this season. Things simply have to improve if the Cardinals want to finish the season with a respectable record. 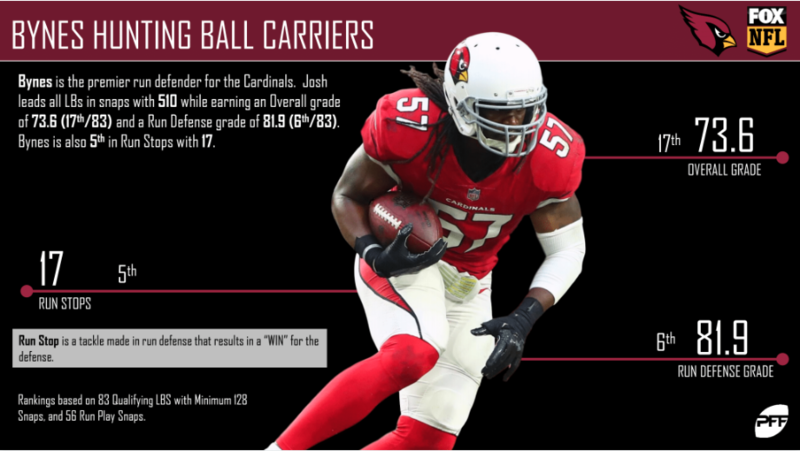 Josh Bynes has been a bright spot on the Cardinals defense this season and has performed exceptionally well against the run. 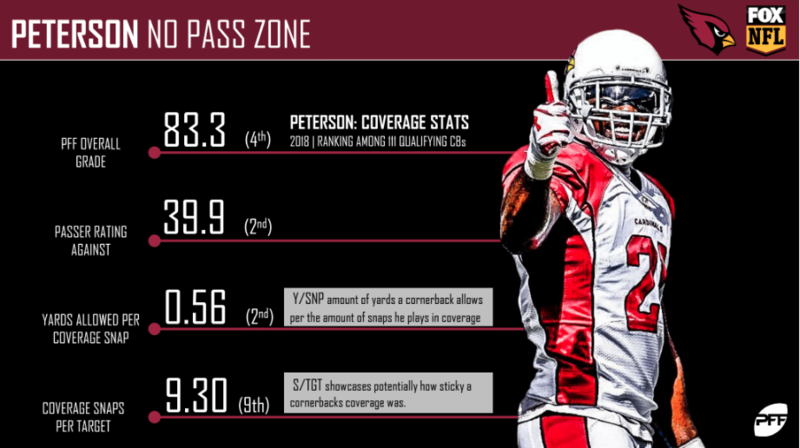 Patrick Peterson has been his usual, reliable self this season. Beathard would do well to avoid him this Sunday.